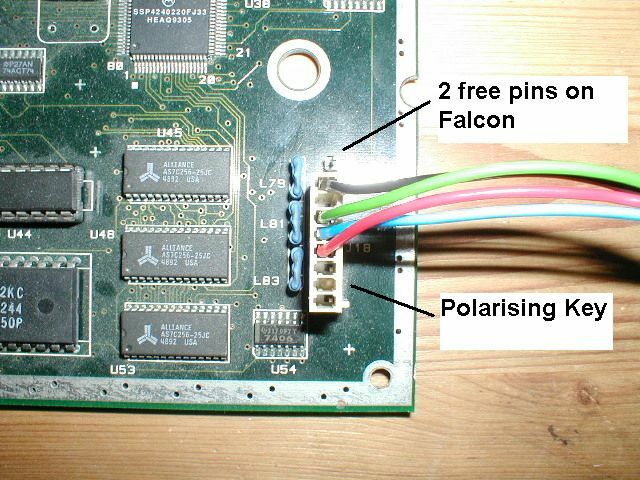 Plug the conenctor onto the ST/Falcon motherboard as in the photo. There is only one way it fits, make sure you get it the right way around. Next connect the Keyboard and Mouse according to the layout below. You can also connect two Atari joysticks for games. 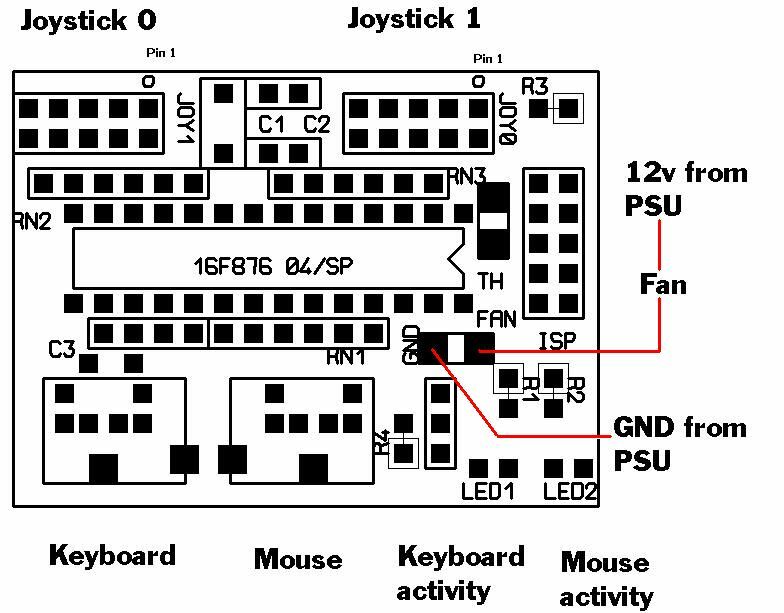 The connection of the fan is optional, this would be most useful to recased Ataris who like to control the fan depending on the temperature. The sensor (NTC) can be placed where you like, and extended with some two way wire if you need to. Lastly settings can be changed inside the PIC with the utility, like key mapping! Download the archive here, which also includes the PIC source code.